Cross-pollination between the arts is nothing new. Yet 2016 has been the year when prolific artists explicitly experimented with form, with the likes of Beyoncé and Frank Ocean releasing new music alongside gripping visual albums and films (Lemonade and Endless, respectively). 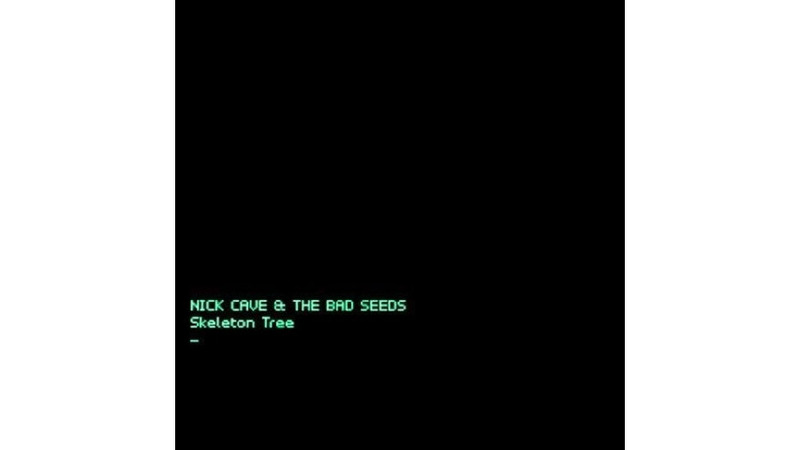 The Australian auteur and reigning prince of darkness, Nick Cave, also opted for a visual aspect accompanying the release of his 16th studio album with his band the Bad Seeds, Skeleton Tree. The album’s Friday release was coupled with a series of global screenings the night before, of a 3D black-and-white film, One More Time With Feeling. The film is hardly a behind-the-scenes peek to satiate Cave die-hards still begging for a possible Birthday Party reunion. Nor is it a visual play-by-play of Skeleton Tree. Instead, it’s an act of survival. In 2015, Cave’s 15-year-old son Arthur died following a fall from a cliff in Brighton, United Kingdom. Cave and Susie Bick, his wife, lay their suffering bare in the visceral documentary, which catalogues their disbelief, ongoing attempts to cope, and Cave’s own ruminations of how it affected everyone and everything around him. All the while, Cave channeled his grief into new music that was macabre, even by his own standards. “Nick deals with everything in life by working; if his heart is broken he can turn it into a song, everything is a grist for the mill,” the film’s director, Andrew Dominik, told journalists at the 2016 Venice Film Festival. Gone, too, is the lush orchestration that propelled Cave’s last album, 2013’s Push the Sky Away, into the realm of the heavenly. Skeleton Tree strips down embellishments and brings to the forefront sinister bass lines and a synthesizer that will widen the tear in your heart a little more with every note, especially on the ephemeral “Distant Sky.” Here, Cave and the Danish soprano vocalist Else Torp, in a languid duet, say goodbye in something not unlike a eulogy: “Let us go now, my darling companion,” she sings. “Set out for the distant skies.” The barely-there drums by no means renders Skeleton Tree bare, though. Cave’s visceral lyrics are in even sharper focus, and the thud of his words hitting ears take on a new kind of percussion on their own. Skeleton Tree is a wrenching reminder that grief is a shifty, many-tentacled being. It has the capability of coming on fast, then slow, then fast again at the most unsuspecting times. As Cave notes in “Magneto,” those shifts affect the emotional (“hard blues down there in the supermarket queues”) as well as the physical (“and in the bathroom mirror I see me vomit in the sink”). Skeleton Tree, by contrast, isn’t something listeners can likely dislodge from their minds anytime soon. Cave fans may nitpick about how this album instrumentally stands against avant-garde classics like Kicking Against the Pricks and Let Love In. But there’s something to be said about Skeleton Tree and its starkness, which is as familiar as life and death, an elegy, and a hell of a thing to forget.